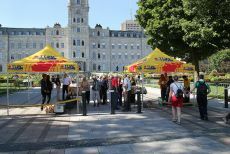 Quebec City – September 15, 2014 – UFCW Canada presented a hard-hitting brief to the Quebec National Assembly regarding the provincial Liberal government's Bill 8 and its attack on the labour rights of seasonal agriculture workers in Quebec to unionize and bargain collectively. 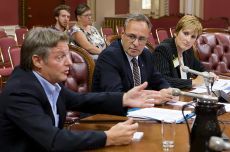 Testifying at a legislative committee hearing on September 9th regarding Bill 8, UFCW Quebec Regional Director Anouk Collet told the committee, “All they are doing with this bill is trampling on the rights of the least privileged members of our society." 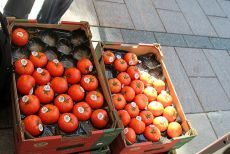 UFCW Canada represents agriculture workers at a number of agriculture operations in Quebec. 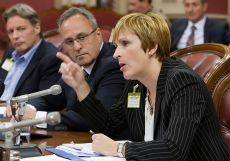 Collet was joined at the hearings by UFCW Canada Local 501 Secretary-Treasurer Mario Delisle, and Quebec Federation of Labour President Daniel Boyer. 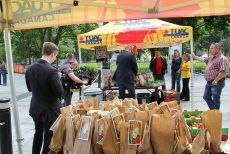 Bill 8 comes in the wake of a five-year legal battle led by UFCW Canada. 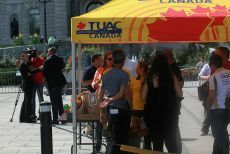 Ultimately, the Quebec Superior Court agreed with UFCW Canada in 2013, and declared unconstitutional and inoperative a clause in the Quebec Labour Code, which excluded employees of agriculture operations from the right to unionize. Instead of abiding by the judgment and repealing this exclusion, the Liberal government has now introduced legislation to circumvent the ruling, by creating a whole new system of exclusions under Bill 8. Rather than allowing workers to unionize, Bill 8 proposes to create workers’ associations whose only practical power would be to “inform” employers of the workers’ concerns. 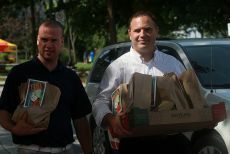 "Bill 8 is a slap in the face to agriculture workers in Quebec. 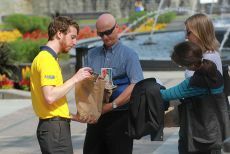 It gives employers permission to just listen and then ignore whatever concerns workers raise," says UFCW Canada National President Paul Meinema. "All the bill does is provide the stamp of approval to discriminate against the labour and human rights of agriculture workers. We will continue to fight against this cynical, unconstitutional legislation until it is repealed because every agriculture worker in Quebec deserves equal treatment under the Labour Code."